We’ve got the answer! 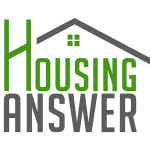 The Housing Answer! Four years ago, Ottawa’s Mayor and City Councillors made a bold, progressive policy move with a new investment of $14 million each year to address homelessness and to fight poverty.